The kidney is a major drug-eliminating organ. Renal impairment or concomitant use of transporter inhibitors may decrease active secretion and increase exposure to a drug that is a substrate of kidney secretory transporters. However, prediction of the effects of patient factors on kidney transporters remains challenging because of the multiplicity of transporters and the lack of understanding of their abundance and specificity. 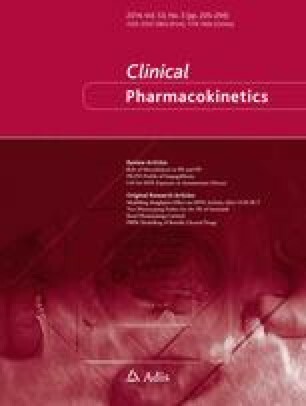 The objective of this study was to use physiologically based pharmacokinetic (PBPK) modelling to evaluate the effects of patient factors on kidney transporters. Models for three renally cleared drugs (oseltamivir carboxylate, cidofovir and cefuroxime) were developed using a general PBPK platform, with the contributions of net basolateral uptake transport (Tup,b) and apical efflux transport (Teff,a) being specifically defined. We demonstrated the practical use of PBPK models to: (1) define transporter-mediated renal secretion, using plasma and urine data; (2) inform a change in the system-dependent parameter (≥10-fold reduction in the functional ‘proximal tubule cells per gram kidney’) in severe renal impairment that is responsible for the decreased secretory transport activities of test drugs; (3) derive an in vivo, plasma unbound inhibition constant of Tup,b by probenecid (≤1 μM), based on observed drug interaction data; and (4) suggest a plausible mechanism of probenecid preferentially inhibiting Tup,b in order to alleviate cidofovir-induced nephrotoxicity. The online version of this article (doi: 10.1007/s40262-013-0117-y) contains supplementary material, which is available to authorized users. The authors gratefully acknowledge Professor Amin Rostami-Hodjegan (from the University of Manchester, Manchester, UK) and Drs Sibylle Neuhoff and Masoud Jamei (from Simcyp Ltd, Sheffield, UK) for their scientific input. This research was supported by the US Food and Drug Administration’s (FDA’s) Medical Countermeasures initiative. Dr Vicky Hsu was supported in part by an appointment to the Research Participation Program at the Center for Drug Evaluation and Research, administered by the Oak Ridge Institute for Science and Education through an interagency agreement between the US Department of Energy and the FDA. No official support or endorsement by the FDA or the Medical Products Agency is intended or should be inferred. Vicky Hsu, Manuela de L. T. Vieira and Ping Zhao designed the research, performed the research, analysed the data, contributed new reagents/analytical tools and participated in the writing of the manuscript. Lei Zhang, Jenny Huimin Zheng, Anna Nordmark, Eva Gil Berglund, Kathleen M. Giacomini and Shiew-Mei Huang analysed the data and participated in the writing of the manuscript. All authors read and approved the final manuscript. Cidofovir (US label); 2013. http://www.accessdata.fda.gov/drugsatfda_docs/label/1999/020638s003lbl.pdf. Cidofovir (EMA summary for the public); 2013. http://www.ema.europa.eu/docs/en_GB/document_library/EPAR_-_Summary_for_the_public/human/000121/WC500052073.pdf.